My.terasgames.com is the PUP that uses misleading techniques to prevent removal. Use Reimage to locate malicious components and get rid of them faster than with uninstall instructions. A full system scan blocks virus reappearance and prevents traffic to malicious domains. How could My.terasgames.com hijack happen? How to remove My.terasgames.com from my browser? My.terasgames.com virus is one of those programs that no one wants to install on their computers. It is an ad-supported extension that silently alters browser’s settings just to start displaying hundreds of third-party deals for the user. It has been developed by Pelican Software SRL, and it seems that it is being advertised on terasgames.com page as Teras Games – Game Manager, which is required in order to play games hosted on that website. We find such activity shady because kids who use that website can be easily tricked into installing this potentially unwanted program (PUP). Consequently, this PUP starts gathering required information about user’s browsing activities, for example, what websites the user enjoys visiting, how much time one spends on them, what content does one click on and so on. Based on such information, further advertisements will be delivered. You will find out that this questionable browser hijacker changes your browser settings, and promotes My.terasgames.com search engine, which is highly untrustworthy and delivers more ads than relevant search results. The search engine provided on My.terasgames.com page and part of the page that suggests installing it. These advertisements come from various third-party websites and contain links to them, however, understand that not all of them are 100% trustworthy. Some of them might try to generate pay-per-click, or, even worse, pay-per-install revenue, and at the end of the day you can end up with adware, browser hijacker or even more dangerous program on your system. Therefore, we suggest you stay away from sponsored content delivered by this hijacker, and especially from websites that suggest installing a certain piece of software on your PC. My.terasgames.com redirect issue is annoying, and what is also suspicious about the described search tool is that it suggests “search with Bing,” although after receiving a search query it routes the user to search.findwide.com page and then to a page with modified Yahoo search results. If you experience these redirects on a daily basis, you need to care of My.terasgames.com removal using a proper anti-malware software like Reimage immediately. Detailed uninstallation instructions are provided below the article – use them to delete the infection properly! A lot of freeware and shareware programs tend to deceive victims and allow things like My.terasgames.com hijack happen when users do not pay enough attention to the installation procedure. For instance, they trick the user into installing bundled components by wrapping agreements to install them into Default or Standard installation settings, which, obviously, many computer users tend to choose. That is why we recommend users to change this option with Custom/Advanced one instead. These settings allow users to configure bundled items however they want, so you can get a chance to deselect packaged items to avoid installing them. This is exactly what you need to do EVERY time you install something onto your computer! If you are sure that you do not want to see My.terasgames.com virus appearing in your web browsers ever again, we suggest removing it with the help of a good anti-malware software. Let it deep-scan your computer system and find all suspicious components that were placed by suspicious and potentially unwanted programs. You might even find some malicious files as well, which are hard to notice manually. However, if automatic My.terasgames.com removal option does not interest you, you can take matters into your hands and remove My.terasgames.com hijacker manually. Instructions given below will help you to complete this task. You have to check if there are any suspicious applications installed on your computer. Some of them may have brought TerasGames software to it. Now, the developer of this potentially unwanted software claims that antivirus and anti-malware software blocks “TerasGames” uninstaller, however, if they do, there’s a reason for it. If you cannot remove TerasGames, try rebooting your computer in a Safe Mode. Here, look for My.terasgames.com or any other recently installed suspicious programs. Wait until you see Applications folder and look for My.terasgames.com or any other suspicious programs on it. Now right click on every of such entries and select Move to Trash. Find TerasGames add-on in IE and get rid of it using instructions provided here. When in the new window, check Delete personal settings and select Reset again to complete My.terasgames.com removal. Once these steps are finished, My.terasgames.com should be removed from your Microsoft Edge browser. TerasGames extension is the one that you want to be gone. Find it in Firefox and get rid of it. 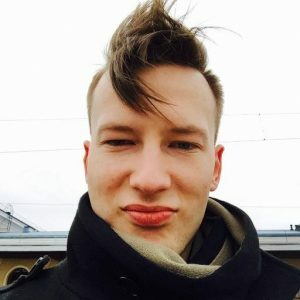 Here, select My.terasgames.com and other questionable plugins. Click Remove to delete these entries. Now you will see Reset Firefox to its default state message with Reset Firefox button. 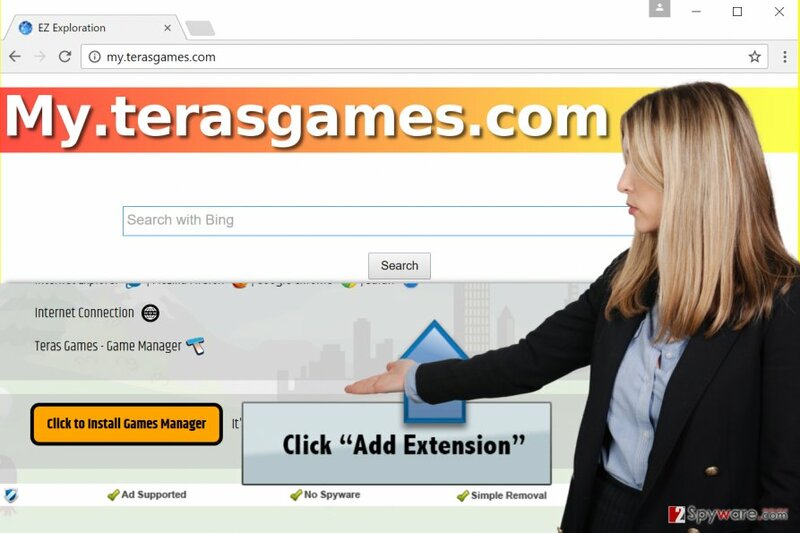 Click this button for several times and complete My.terasgames.com removal. These instructions will help you to remove My.terasgames.com virus from Chrome. Just look for an extension called TerasGames. Here, select My.terasgames.com and other malicious plugins and select trash icon to delete these entries. Click Reset to confirm this action and complete My.terasgames.com removal. Here, select Extensions and look for My.terasgames.com or other suspicious entries. Click on the Uninstall button to get rid each of them. Here, look at the Homepage field. If it was altered by My.terasgames.com, remove unwanted link and enter the one that you want to use for your searches. Remember to include the "http://" before typing in the address of the page. Now you will see a detailed dialog window filled with reset options. All of those options are usually checked, but you can specify which of them you want to reset. Click the Reset button to complete My.terasgames.com removal process. ^ Kevin Stevens. The Underground Economy of the Pay-Per-Install Business. SecureWorks. Information Security Research & Advisories. This entry was posted on 2017-04-06 at 20:27 and is filed under Stealing programs, Viruses. You can quickly scan the QR code with your mobile device and have My.terasgames.com virus manual removal instructions right in your pocket. How did you remove My.terasgames.com virus?